A day-by-day history of U2, now in its second edition. We’re aiming to publish in mid-2011. We’ll be asking U2 fans to contribute great photos for possible inclusion in the book, just as we did with the first edition. The second edition will include an addendum in the back with corrections and new entries that cover the 1950 to 2007 timeframe of the first book. So, please, if you’re interested in following along, feel free to bookmark this site or just subscribe to the RSS feed. And thanks in advance for your help, support, or interest! I have a ton of pictures. Name something you need and I can give it to you. I’m a student journalist/photographer so I’d love to help you out! I have some great photos from the 1st and 2nd Dublin shows, and the Cardiff gig in 2009. I also have pics from the 1st night in Coimbra this year. If any of these would be of any interest you are welcome to use any of them. Fantastic news and congragulations on getting this project. Looking forward to the website updates, and if i can help in anyway, leave me know. Where should we send corrections? Thanks for the quick offers of help, gang! U2 fans rock. Adrienne/Andy — I’m not ready to work on photos just yet, but will certainly post about it when the time comes. The photos will need to be 300 dpi (print resolution) and the most helpful thing is if they’re posted somewhere online that I and/or the publisher can review them and pick ones to see if they’ll fit available space. Each photo should also be labeled with date, location, and photographer. If you guys want to work on all that, feel free. And thx again. Michelle — probably the best thing is to use the Contact link up above. Thank you. Congratulations on getting agreement to publish version 2; I look forward to reading the updates in due course (version 1 was great). 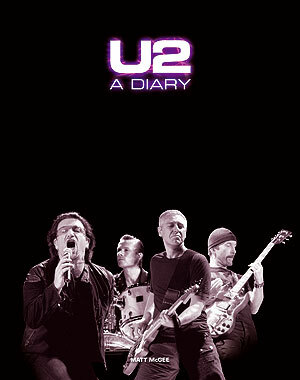 © 2019 U2 – A Diary. All rights reserved.